The first step for daily skin care treatment will immediately increase moisture level of skin to its deepest layer and at the same time refresh weary and sensitive skin. Precious pearl extract that rich in minerals and amino-acids, will penetrate deeply into the skin and repair it from inside. 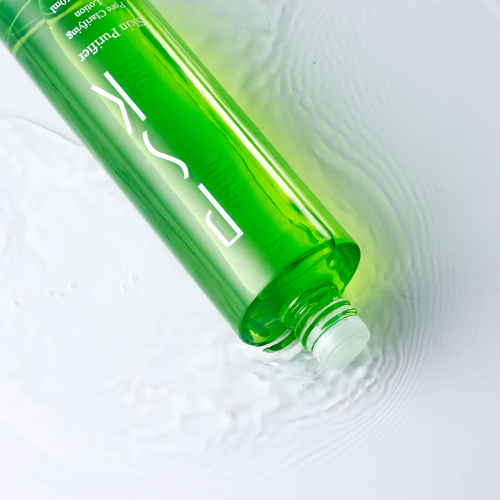 Give you relaxing and refreshing experience while acting as a catalyst for the other skin care treatments. 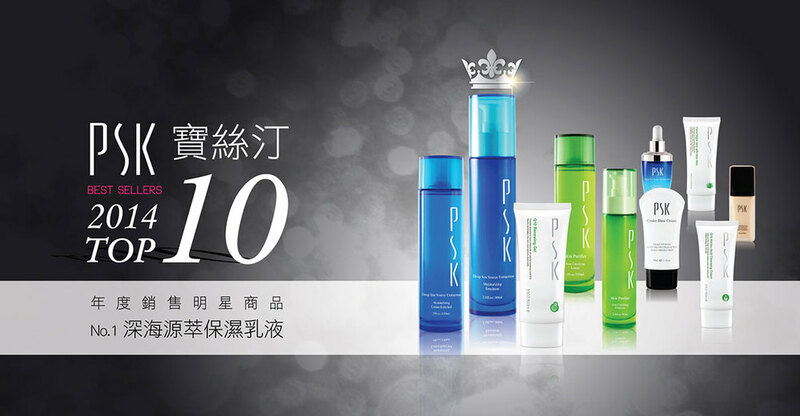 Feel the healthy, soft and delicate skin like ever before. Give gentle massageuntil it absorbed completely. 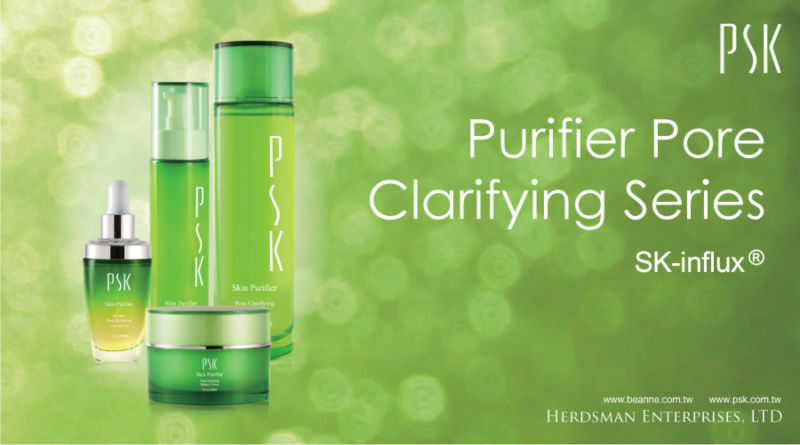 Use with other products of Skin Purifier Pore Clarifying series for perfect look of your skin. Stopusing product that causes any allergic reaction. Keep product container closed when not in use. Herdsman Enterprises was found in 1973.Our subsidiary companies including Beanne Chemical co. and Meita Chemical with two main brands which are BEANNE and PSK, all are well-known with ultra-prestigious reputation. We have been working hard during this time with passion and innovation of science and technology in order to offer a wide range of beauty products: hand and body lotion, facial cream, facial cleaner, facial toner, serum, cosmetic kit and sample pack. We strongly believed in our capacity to make every effort to develop skin care cosmetics and health food with higher quality. 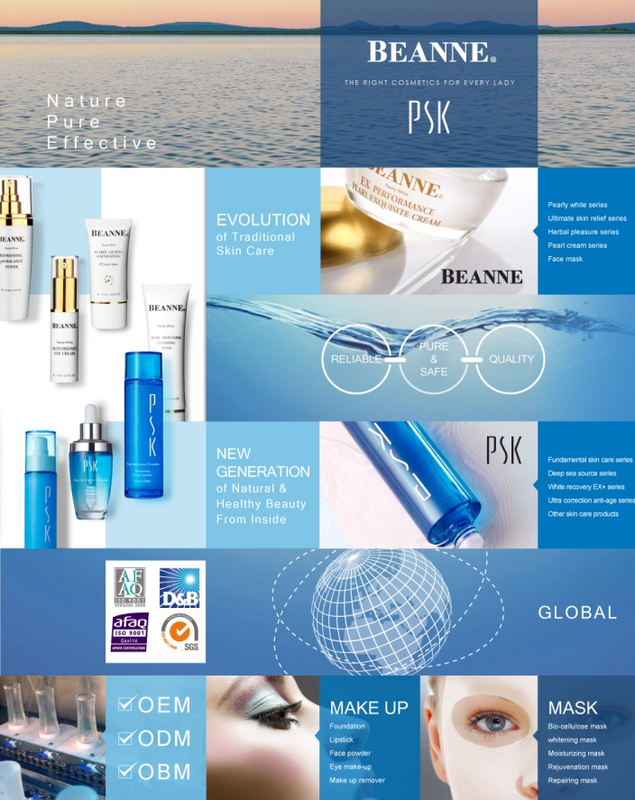 In our 40 years of company history, we have devoted to R&D and international skin care market throught various channels with believe to bring “ the right cosmetics for every lady” all over the world. 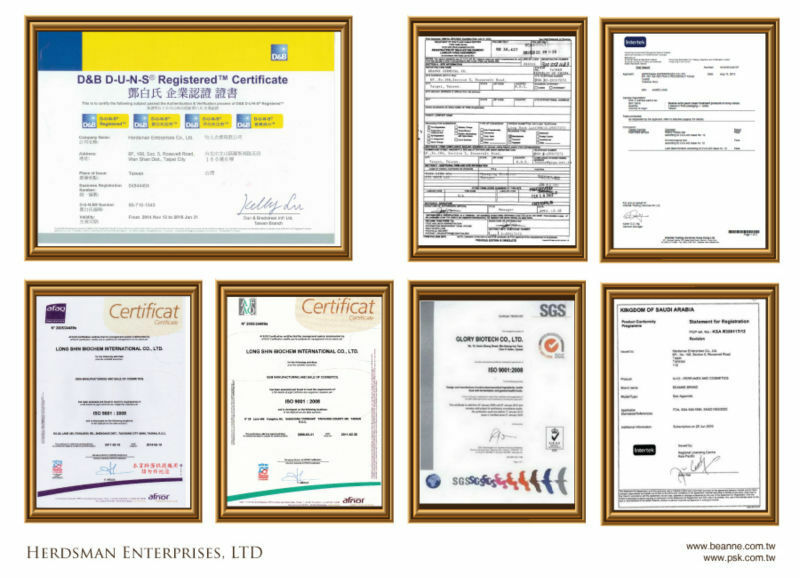 Consequently, we gained many worthy certificates such as FDA(USA), EEC(Europe) and SASO(Saudi Arabia) which brought our product to more than 30 countries inevery continental and area such as U.S.A, Canada, United kingdom, Czech Republic, United Arab Emirates, Saudi Arabia, Kuwait, the Kingdom of Bahrain, Republic of China, Singapore, Malaysia, Vietnam, Australia.. etc. We are confident to be a trust-worthy business partner and sincerely looking forward to cooperating with you in the near future. If you want to get any further information, please feel free to contact us. Thank you very much! 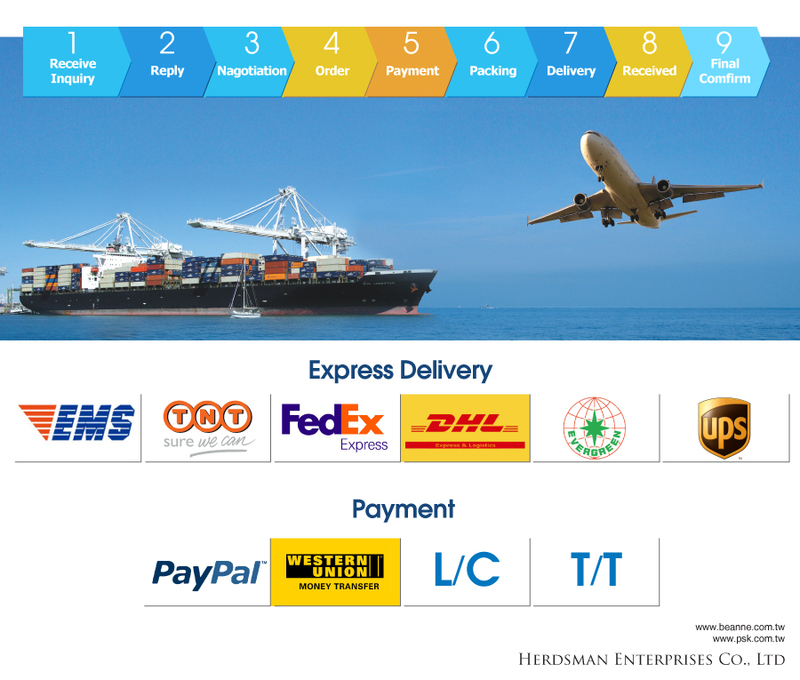 Herdsman Enterprises, LTD products are strictly made in Taiwan without sacrificing high quality for low cost. Since we passed ISO9001 certification, we have expanded our factory scale to match global standard. FDA(USA), EEC(Europe), SASO(Saudi Arabia), etc. All of our ingredients are from reliable suppliers verified by many global organizations for quality management. Products are researched and tested by Herdsman’s the best R&D team with a goal to bring the best beauty products to you our customers. 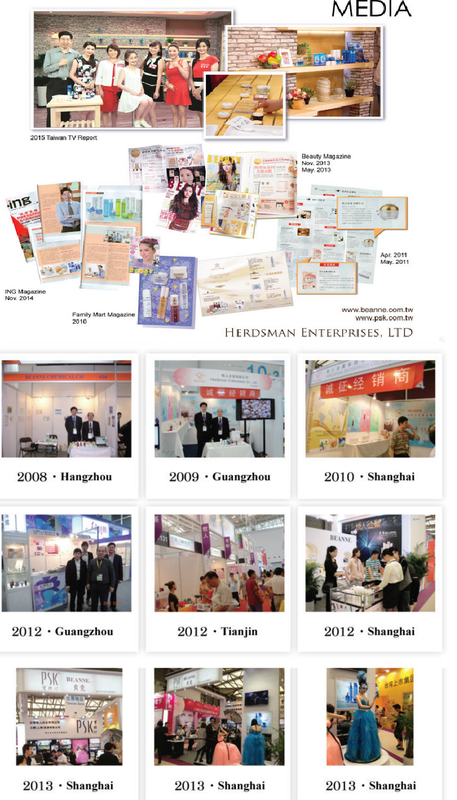 Our company participated in several exhibitions, beauty expos last few years and gained great feedbacks from customers. We keep spreading our wings in the global market through other marketing channels such as Magazines, Facebook, Internet shopping, Alibaba, etc. 1. I would like to know whether you have distributors in our country? 2. How to become your agents? Welcome to become our business partner. You can mail inquiry letter to us and we will give you more information about the cooperation. 1. I have browsed your website and I’m interested in your products. Can I buy your products in my country? We already have distributors in many countries. You can let us know where you live and we will tell you whether you can buy our products in your country. 2. May I buy some samples first? Yes, we provide sample orderingservice. Please mail us for more details. We provide FREE sample bags but if you want a completely fine product (as sold to customer), a small deposit is required, this deposit will be refunded to you after placing order. Sample shipping fee is paid by buyer. - We will keep this offer valid only for 30 days. - The price varies with the content of your order. If your higher quantity, the price will be lower. For 110% invoice value coving All Risks and War Risks. 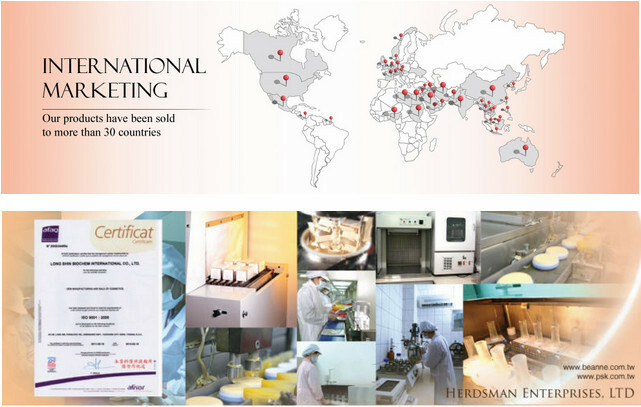 Herdsman is searching for new agents and distributors worldwide. We have more than forty years of experience in international business trading and gained positive feedback from our customers throughout the globe. We aim to deliver high quality and well-designed products to our customers. 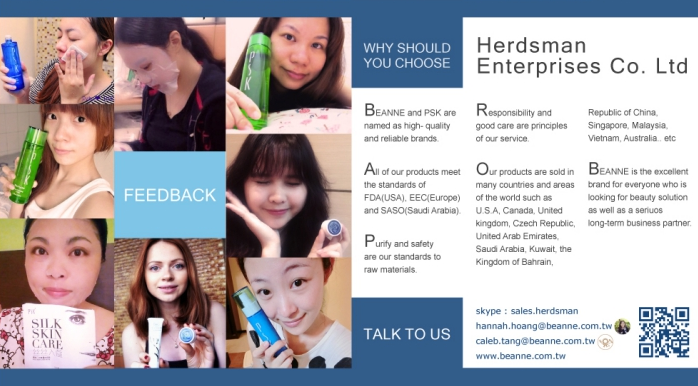 Just like the slogan of Herdsman: “The right cosmetics for every lady”, we would like you to join us to make “BEANNE”, “PSK” and our productsbecome an excellent brand for everyone who is looking for beauty solution. Herdsman Enterprises will be your best choice as a long tern business partnership. All agents and distributors are welcome to join us! * Resellers with a strong sales network. * Resellers with in depth knowledge of their local market. * Reseller capable of launching marketing campaigns. * Resellers willing to establish, on a win-win basis, a long-term relationship with us. Please feel free to provide your interest, comments, feedback and suggestions. It’s our honor to play a part of global market with you!